"I'm currently dating a guy who is diagnosed with Asperger’s. I don't know much about this condition. How can I understand the way he thinks? We are definitely not on the same page most of the time. I need to know more about this and how it could affect our relationship." 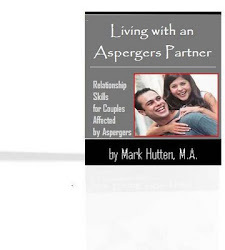 There are several traits associated with Asperger's (high functioning autism) that can have an effect on how the relationship develops (not all negative, of course). People with the disorder typically have underdeveloped areas in the brain that cause problems in communication, focusing on “the real world” as opposed to becoming absorbed in their own thoughts and obsessions, learning appropriate social skills and responses, and understanding the thoughts and feelings of others. They are often extremely literal in their interpretation of others’ conversations, and have difficulty recognizing differences in speech tone, pitch, and accent that alter the meaning of what others’ say (e.g., they may not understand a joke or may take a sarcastic comment literally). For some "Aspies," learning social skills is like learning a foreign language. They may have difficulty reading non-verbal communication that “typical” people learn without formal instruction (e.g., not understanding the appropriate distance to stand from another person when talking, how to tell when someone does not want to listen any longer, how to interpret facial expressions, etc.). These individuals are usually highly aware of right and wrong - and will bluntly announce what is wrong. They tend to recognize others’ shortcomings, but not their own. Thus, they may come across as insensitive, selfish, or rude. They tend to need routine and predictability, which gives them a sense of safety. Change often causes stress, and too much change can lead to a meltdown or shutdown. Changes that are stressful for them may include (a) starting a new routine (e.g., having to go a different route to work due to construction), (b) having a different supervisor at work, (c) having to do things in a different order, or (d) major changes to their environment (e.g., when a wife rearranges the furniture without consulting the Asperger's husband first). Routines and predictability help them remain calm. Your boyfriend's thinking is likely to be totally focused on only one or two interests, about which he is very knowledgeable. Many people on the autism spectrum are interested in parts of a whole (e.g., space craft, computers, insects, drawing highly detailed scenes, designing houses, astronomy, and so on). Your boyfriend's brain is likely to be obsessed by his interest. Thus, he may talk only about it, even when others are carrying on a conversation on a different topic. Aspies tend to notice details rather than the “whole” picture. The importance of the detail prevents them from understanding the bigger picture, so instructions may get lost in their focus on a single detail. Also, multiple instructions are extremely difficult for these individuals to retain and follow. They are not able to access their frontal cortex or prefrontal lobe efficiently, so they must call on social skills from their memories. If a particular social skill has not been taught to them as a child, they won’t have it as an adult. Therefore, imagination, conversation, and other people’s points of view cause them great difficulty. They may be unable to realize consequences outside their way of thinking. Also, they may not be able to recognize when someone is lying to them or trying to take advantage of them. Frustration and resultant anger often occurs due to over-stimulation of the senses or a change in routine. It is often the only response they know. 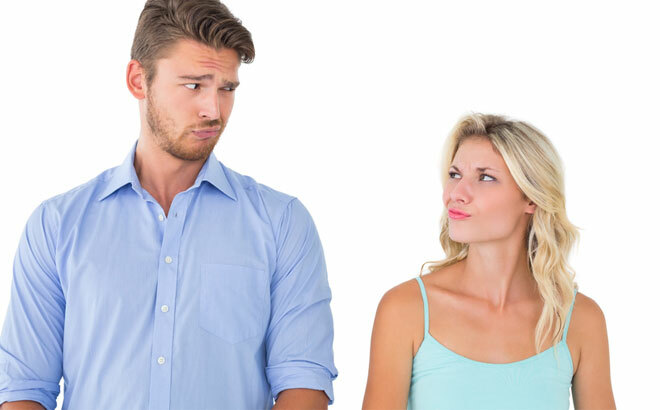 Difficulty with anger-control can present problems in relationships. They tend to view things in black and white terms, which may result in angry outbursts when they don’t get their way, or when they feel threatened or overwhelmed. Some people with Asperger's bottle-up anger and turn it inward in the form of depression, never revealing where the problem is. Many are perfectionists, reacting with anger when things don’t go the way they had hoped. One of the most difficult thinking patterns of people with Asperger's is mind-blindness, which is the lack of ability to understand the emotions, feelings, motivations and logic of others. Unfortunately, some of these individuals don't care that they don’t understand! Thus, they may behave without regard to the welfare of others. Many will only change their thinking or behavior if it is in their own interest to do so. Even then, convincing an Aspie to change his mind may be an uphill battle. This all makes so much sense! Any hope for effective behavioural therapy?